Did you ever get a brand new console only to discover that it watned any slight mistake voided the warranty? Well apparently that was a bit of legal jargon and not actually true. The US's Federal Trade Commission sent out several letters to big companies to try and resolve this. Three of these companies are the gaming console Giants Nintendo, Sony, and Microsoft. The big concern was the implication that using a third party repair service or parts would void the warranty, which is apparently illegal in the US. It has to do with an issue of forcing the use of specific services when another service may be cheaper or better. The demand came back on April 10th, and there have been updates to Nintendo and Sony's warranties, but Microsoft has stayed stoicly silent. Sony released an official statement today outlining what they'd done to comply with the FTC. It basically boiled down to the warranty wouldn't cover damage caused by a third party, whether that's through repair work or third party parts. 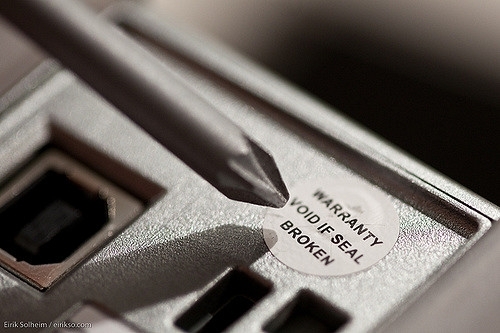 Nintendo didn't make a big statement, but their warranty has changed to something very similar. Again though, Microsoft still has the language in their warranty the FTC seemed to have issue with, and time is running out for them to change it before the FTC checks on them. Do you think having to change their warranties to be more obvious to the average person is a good thing? Do you think Microsoft will make the deadline, or do they even really care about it? They are the mainly US based one, and it is a US regulatory agency. Do you think that will get them leeway?